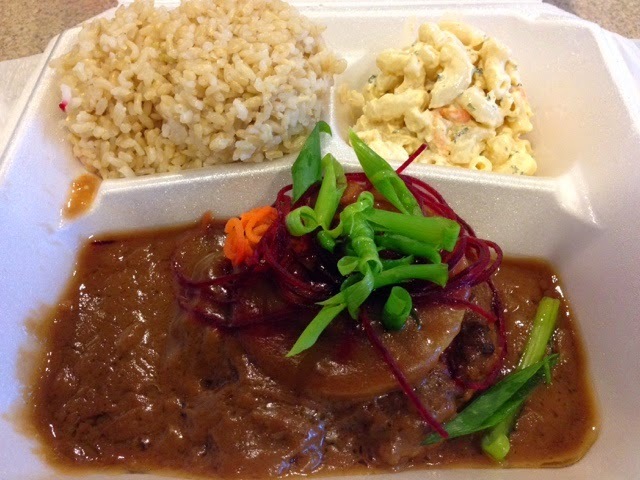 Dean's Drive Inn, a popular plate lunch eatery, has re-opened a couple of blocks down the street from their old location in Kaneohe town. They are now in a larger space (formerly occupied by Zippy's) with more customer parking and a larger dining area. The restaurant was featured on the popular Food Network show "Diners, Drive-Ins, and Dives" last year, which really put them on the map. My favorite entree here is the surf n turf combo, which consists of teri beef flank steak and ahi cakes. Another great item is their hamburger steak. It's all in the gravy. They have a drive-thru window, however I think you need to call in your order ahead of time to take advantage of that window. I hear their desserts are good, so if you get a chance to try one, let me know how it is! 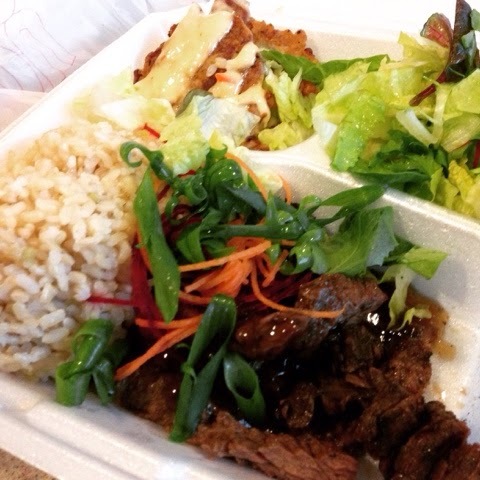 Tip: Check out the menu on Yelp and call in your order ahead of time. This is one of the most astonishing venues that I've attended for my numerous experiences. This place is spot on with the decorations. The overall experience at convention center was amazing! Had a fun and comfortable time here.